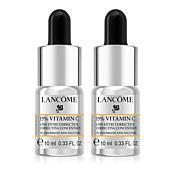 A dual concentrate antioxidant serum boosted with pure ferulic acid and Vitamin E that is self-activated; mixing automatically inside a base to instantly help soothe and moisturize skin and help fight against free radical aggressors for visibly healthier-looking skin. Push and twist the black cap clockwise (twist and push until you hear a popping noise) to release the blue concentrate into the base concentrate. Shake until the two concentrates are evenly mixed. 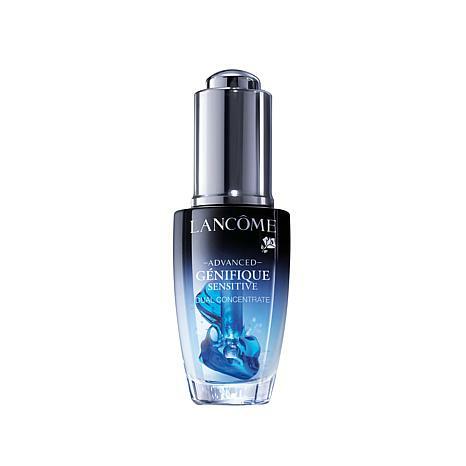 (if liquid in bottle is clear, the blue concentrate hasn't released yet). I Love this product! I have always suffered with my Inflammatory acne and ever since i started using this product i have noticed a BIG difference the redness has been diminished that now i dont even have to use concealer, just foundation my skin is getting better and better ever since i started using this product. 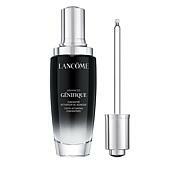 Thanks Lancome please don't ever change this formula i appreciate that it does not have alcohol too. 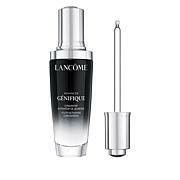 I use the regular Genifique but have had some bad skin issues after extensive traveling including redness, irritation, and a breakout. This made an immediate impact and has not only brought my skin back to normal but it's better than ever. 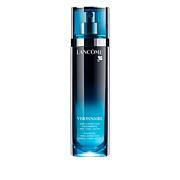 Great serum to address problematic skin.